We make a clear distinction between tribute albums and cover collections here at Cover Lay Down, with the former typified by a narrow focus on a single band or artist, and the latter a catch-all category that incorporates multitudes of subtypes, from thematic multi-artist covers albums such as last year’s Hurricane Sandy benefit project The Storm Is Passing Over to single-artist collections whose tracks share little common bond save the love of the interpreter. As noted last month in our three-part series on New and Impending Tributes, it’s been a great year so far for the former, with strong turn-outs taking on the songbooks of John Denver, The Everly Brothers, Tim Hardin and Nick Drake already on the books and in our hearts. But there’s some strong showings emerging in the larger world of broad coverage, too – and we’d be remiss if we didn’t give our favorites a chance to shine. And so today we bring our Spring 2013 “New & Impending” series to a close with a look at some great new collections of song unified by mood, topic, and common origin from indiefolk standby Vandaveer, Cover Lay Down favorite Hannah Read, NYC singer-songwriter Bess Rogers, and folk duo Jasonrockcity. Pulling from the radiowaves surely sells albums: as we note in our own mandate, familiarity breeds contentment, providing an entry into craft to the mutual benefit of fan and artist alike; maximizing this potential by picking only popular songs that the average listener would know is a well-hewn path to fame through coverage. But taking on the uber-popular carries risk, too – more coverage in the ether raises the competitive bar for artists, making it that much easier for single recordings to drown in a sea of commonality, and that much harder to find new meaning in songs so broadly interpreted. 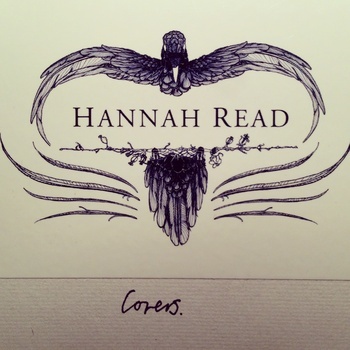 By that standard, however, the newest EP from Hannah Read and Charlie Van Kirk is a triumph of tribute. Lush and layered, flowing and stunningly clear, yet ultimately less fragile and more robust than Wrapped In Lace, Read’s last EP-length outing, the gorgeous treatments Read and Van Kirk bring to the four well-known songs on their brand new Covers EP are ethnographically and sonically unifying, exposing the clear thread that runs from Fleetwood Mac (The Chain) and Nick Drake (Riverman) to Radiohead (Atoms For Peace) and MGMT (Kids) in ways that reveal the common nuances of the popular even as they transcend the originals. Frankly, I’d pay good money for this small set; that it is being released completely free gives us ample reason to download with impunity after streaming the set below. Risks abound, especially, in taking on the Hip Hop canon as folksong: as noted in our April Fool’s day feature on Gangsta rap, the tendency here is towards irony, a stance seemingly unavoidable when enacting the tensions between often-obscene lyrics and softer, more gentle production and performance choice. And doing so as a debut is essentially unheard of, in that it could too easily categorize the band as, ironically, mere interpreters. 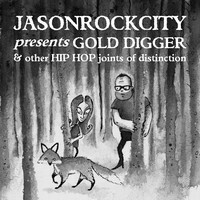 But new folkrock band Jasonrockcity isn’t so much a debuting duo as it is a side project of Woodenhouse Records standby Jason Applin of harder-rocking post-folk indie bands Union Starr and Damn Damn Patriot and experimental-folk singer Debbie Brown. And perhaps this is why the pair transcends these potential pitfalls with aplomb in Gold Digger & Other Hip-Hop Joints of Distinction, an EP due mid-May from Woodenhouse that reconstructs originals from Missy Elliot, N.E.R.D, Public Enemy, Beastie Boys and Tupac, demonstrating a keen ear towards cohesiveness and a studio sound that is as deliberate as it is successful. The atmospheric tracks that result trade the heavy beats of the originals for pulsing waves of predominantly acoustic sounds, from shimmering guitar chords to summery ukelele notes and ringing glockenspiel bells, authentically shifting the tonality of these songs into heartache and hope by bringing lovingly constructed harmonic layers to songs once sparse and stuttery without a hint of irony. The result is a true homage: alternately playful and fragile, entirely etherial, truly transformative, and totally worth our time. 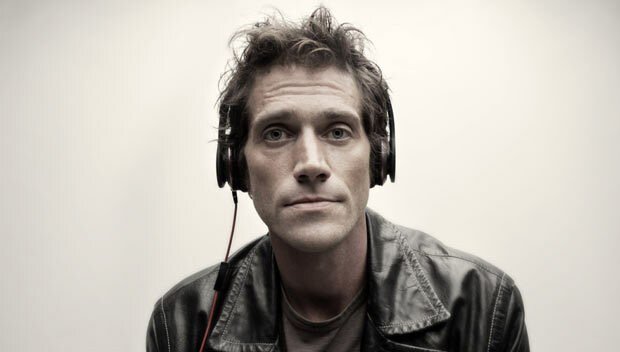 With just three albums and an EP of original work on the market since he began performing in 2006, Mark Charles Heidinger, the core guitarist, arranger, and singer-songwriter behind Washington, DC-based alt-folk project Vandaveer, has already made his name on the ragged leading edge of the modern indiefolk movement. And we trust his ability to handle the old intrinsically, having features his work twice here on the blog: after a hauntingly beautiful 2008 take on Leonard Cohen in Teach For America benefit covers project Before The Goldrush, and a version of Long Black Veil on SpliceToday’s 2009 folk mix The Old Lonesome Sound. 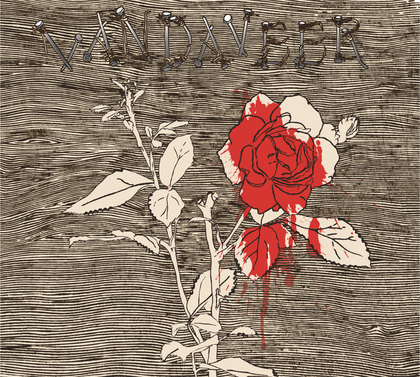 Taking on an entire album of murder ballads is no stretch for Heidinger and co., and Oh, Willie, Please, the album that results, doesn’t disappoint, offering a dark indiefolk survey of the canon, bringing it into the modern with handclaps, banjo, piano and bowed strings much as Anais Mitchell and Jefferson Hamer’s recent survey into the Childe Ballads found nuance anew in the old songs of the folkstream. Leading single Pretty Polly is an apt indicator, with a driving urgency that builds to breathlessness and ruin; the collection, which drops April 30, promises more of the same, with takes on familiar and obscure songs from Down In The Willow Garden to Poor Edward and Omie Wise; stream the whole thing at Relix, and then pre-order from Vandaveer directly in digital or CD formats. 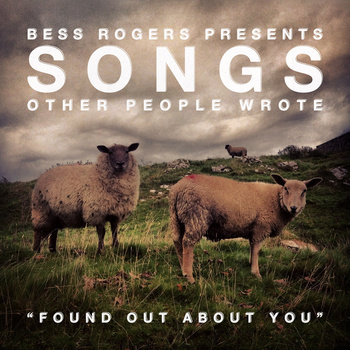 Finally, Brooklynite songstress Bess Rogers‘ new cover series Songs Other People Wrote only has one song in it so far, making it a bit early to be able to comment on its cohesiveness or its coverage. But Gin Blossoms cover Found Out About You is a perfect beginning: a song hardly covered yet eminently familiar, reconstructed as a fluid, soaring combination of Americana and contemporary popfolk elements, radio-ready and sure to make a splash. We’re eagerly awaiting next month’s song. And given Bess’ previous forays into the world of coverage on these pages, her sweet duet recording of Everly Brothers classic with frequent touring compatriot Allie Moss last year, and her ongoing work with Ingrid Michaelson and others on tour, we’re sure to love it, too. Cover Lay Down shares new coverfolk finds and feature sets biweekly on the blog…but our love for coverage doesn’t end here! Like us on Facebook to ensure frequent updates from the intersection of popular song and folk coverage throughout the week – including an incredible take on The Lumineers from an amazing young sister act, and – coming tomorrow – Sarah Blacker’s new and exclusive cover of Bobby McFerrin’s Don’t Worry, Be Happy, recorded by yours truly live in concert Friday night!